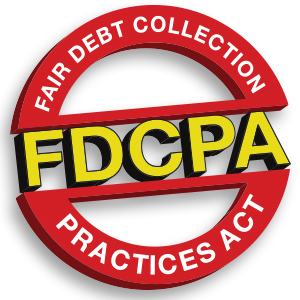 With the Consumer Financial Protection Bureau (CFPB), the Federal Trade Commission (FTC), and other government agencies –including the United States Supreme Court– becoming more and more involved with regulating debt collection in the United States, it is important to remember that although the focus of the Fair Debt Collection Practices Act (“FDCPA”) is abusive collection agencies, there are circumstances when the owner of a debt can get into hot water for violating the FDCPA. The simple formula has long been: if I’m a creditor collecting my own debt, I’m not a debt collector under the FDCPA. However, there are important exceptions, and other laws that apply similar rules to creditors collecting their own debts. Many creditors, when reviewing the definition of a “debt collector” contained in 15 U.S.C. 1692a(6), stop reading when they reach the phrase “debts owed or due or asserted to be owed or due another.” Since the creditor is collecting its own debt, not a debt owed another, the FDCPA does not apply, right? As an example, the “payday loan” company LoanPointe, LLC, issued loans using the fictitious business names “ECash” and “Getecash”. However, when the loans defaulted and collection activities commenced, LoanPointe, LLC, dropped the aliases and sent communications in its own name. The Fair Trade Commission filed a Complaint against LoanPointe in March 2010 alleging, among other charges, that the creditor’s actions violated the FDCPA. The trial court granted the FTC’s motion for summary judgment, ruling that the FDCPA applied to LoanPointe’s collection activities because it was using a different name. The resulting judgment cost LoanPointe just under $300,000. Is the Debtor In Default? Removing the double-negative, this simply means: if the debtor was in default when you acquired the account, you are a “debt collector” under the FDCPA. The obvious example is a purchaser of judgments, who obtains the account after a court has already determined the validity and amount of the debt. Less obvious is the example of Consumer Portfolio Services, Inc. (“CPS”), a large collection agency that, among other activities, buys and services auto loans from car dealerships. The FTC filed a Complaint in 2014 against CPS alleging, among other charges, violations of the FDCPA. CPS serviced the auto loans for the dealerships, but was not assigned the accounts unless there was a default. Although CPS was involved with the same loans prior to default, it did not become the creditor until after default. Therefore, the FDCPA applied. CPS ultimately stipulated to an order requiring it to pay a civil penalty of $1,000,000 for violations of the FDCPA alone. In both of these cases, however, the creditor was also found to have violated, or stipulated to culpability, under Section 5 of the Federal Trade Commission Act. 15 U.S.C. 45 states: “Unfair methods of competition in or affecting commerce, and unfair or deceptive acts or practices in or affecting commerce, are hereby declared unlawful.” That language is very broad, and the FTC and other regulatory agencies apply it accordingly. If you use the US Postal Service, you are engaged in interstate commerce and subject to the FTCA, including Section 5. An “unfair” practice is one that “causes or is likely to cause substantial injury to consumers,” and a “deceptive” practice “misleads or is likely to mislead a consumer.” From the Supervision Manual for the application of the FTCA: http://www.federalreserve.gov/boarddocs/supmanual/cch/ftca.pdf. Not surprisingly, there is overlap between the unfair and deceptive practices prohibited by the FTCA, and the collection practices prohibited by the FDCPA. With a few key differences, such as avoiding the least-sophisticated-consumer standard and the mini-Miranda, many collection activities that violate the FDCPA also violate the FTCA, and so apply to creditors collecting their own debts. This is not an exhaustive list of the exceptions under which a creditor is subject to jurisdiction under the FDCPA for collecting its own debt. It is important to remember, when choosing a law firm or collection agency, that there is a complex set of regulations, statutes, and court decisions governing debt collection, and be sure to select one that is knowledgeable about compliance. It is advisable to always assume that regulatory laws apply to your company when you are collecting debt. While you should be familiar with the law, it is never wise to try and be your own attorney. If you have any questions, please feel free to contact us.